It’s Friday again at Club Amnesia Ibiza, which means that it is time for a new edition of Music On. 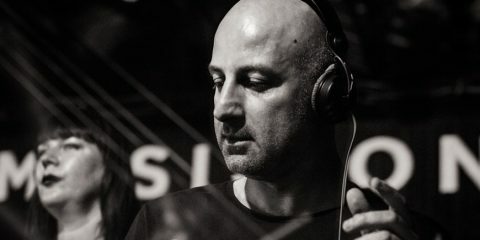 While slowly rolling into the tenth edition of this year’s season, the brand was originally founded in Italy by its boss Marco Carola. Years have since passed and its popularity is now a force to be reckoned with. After hosting a great festival only a few weeks ago in Amsterdam, Music On has not only expanded towards the capital of the Netherlands, but also to Paris, London and of course Ibiza. However, all of this leaves us with only one question: what’s on the menu for tonight? At only 12PM opening act Antonio Pica is already bringing a lot of heat to Amnesia’s terrace. Even though initially not mentioned on the Resident Advisor event page, this man surely deserves serious credit for setting the tone and getting people in the right mood for what’s coming. While he is banging out a few commercial tech house tracks here and there (we are in Ibiza after all), it does not make him shy away from choosing somewhat more challenging picks which create a good amount of depth in his set. In the Club Room something a little bit milder is kicking things off. It is Elio Riso, who’s attitude and performance are hard to hate on – throughout the entirety of his set he’s spotted wearing a massive smile on his face – but, in my opinion, his musical picks are not exactly in line with what is coming after, namely Stacey Pullen and Sam Paganini. Surely it would have been a good idea to put him before Derrick and have Antonio open for Stacey just to increase the musical flow of the night! Punctual as ever, May takes over at 2PM sharp. Throughout his entire set there are a few big moments, like when he plays Delano Smith’s ‘Midnight Hours’, but there is almost no sign of his infamous cross fader mixing and the choices of music sometimes seem a bit sporadic. Nevertheless this Detroit legend does deserve a lot of praise for the fact that all of his tracks are incredibly well picked and his vinyl mixing, after all these years, is still sublime (no mistakes at all!). Half-way into Derrick May’s set the terrace and the club room are both fully packed and there are still more people coming in. Irritated faces can be spotted amongst those that have to push others to walk around and explore the club, while the people on the dance floor can hardly even move. 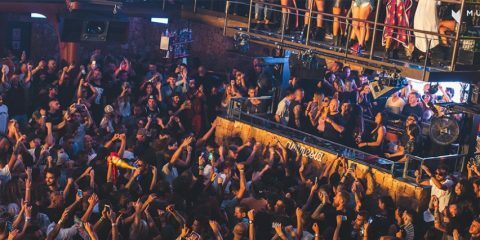 Although one would only be right to doubt whether these conditions are safe, it is actually in these moments of walking around when it becomes clear that Amnesia has hired enough security guards to keep an eye on it’s huge crowd (without losing this sense of freedom that every clubber in Ibiza has grown to love so much) and let the party go on without any negative incidents. Fifteen minutes later than originally planned the man of the hour finally arrives from behind Derrick. It’s the moment everyone has been longing for: the closing set of tonight by Music On’s finest Marco Carola. 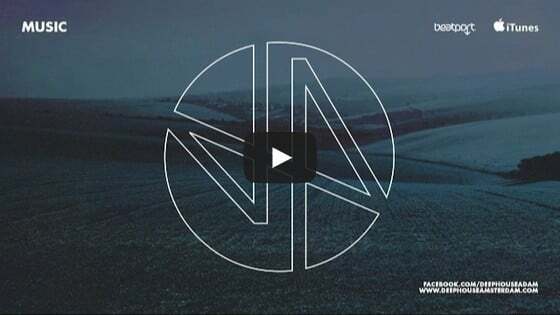 There is a lot to say about ‘the global ambassador of techno’, you either hate him or love him, but his music nowadays mostly ranges from bass-heavy tech house to big room techno. Tonight is no exception, however the crowds energy at Amnesia at this point has become exceptional. It seems as if Carola’s presence has sparked new life into every single soul present tonight, leaving us with just one feeling: that of incredible satisfaction. Music On (Ibiza), may you never leave us.